Join us Thanksgiving weekend for an sampling of wines from Provincial Vineyards. 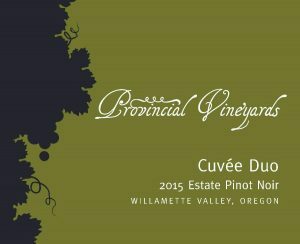 Offerings will include several Pinot Noir and Pinot Gris selections, along with the 2013 Reserve and Cuvee Duo. Special event pricing on premium wines. No tasting fee. We have the special opportunity to host a pouring of the latest introductions from Six Peaks, a new wine label created by J. Albin Winery. 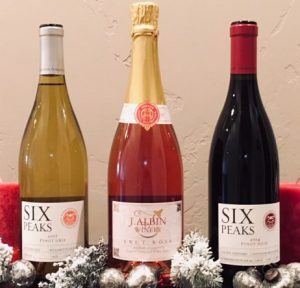 Offerings will include the Six Peaks Pinot Noir and Six Peaks Pinot Gris, along with a delicious Sparkling Wine from J. Albin.